The Iberian peninsula has a particular archaeology within Europe. In the Middle Ages Christians, Muslims and Jews coexisted in towns and in the countryside. But the country was divided between the Christian kingdoms in the north and Muslim al-Andalus in the south. Both areas changed in many ways as the Christians gradually expanded their territory and were finally victorious in 1492. This book focuses on differences and similarities as well as the interchanges between the cultures which produced much of the heritage of present-day Spain. 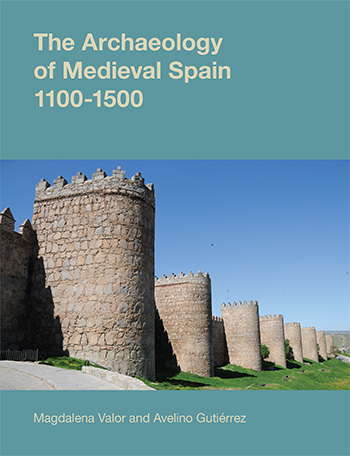 This book is the first modern survey in English of medieval archaeology in Spain, and it reveals the extraordinary development of Spanish archaeological work after the creation of regional governments (Comunidades Autónomas) in the 1980s. For students of medieval Spain, this is a work that has long been needed. It is invaluable for placing architectural structures within the physical environs of the Peninsula and for showing how they changed in the constant interaction between Spain’s Muslim and Christian societies. The authors of this book, however, go farther than that; they lay before us the structures of daily life in medieval Spain. Both the scholarly and general reader should be grateful for this gift. An extremely useful didactic resource for academics and students alike and an excellent introduction to the archaeology of medieval Spain for both non-specialists and archaeologists new to the region. This highly-recommended book covers many topics, a wide geographical area and includes Christians, Muslims and Jews... the hardback includes a lot of colour photographs and maps, an extensive and up-to-date bibliography, and a glossary of specific terms. It seems strange that [such a] book is not in Spanish or produced in Spain, but the English edition will provide a dissemination of the subject at a European level. Such an ambitious book is difficult to summarise; all one can say is that it is astonishing that so little attention has been paid until now to such a rich archaeological resource …. This is an extremely useful book that forms part of a series, which if it develops in the way that is intended, will provide a valuable resource for both historians and archaeologists working on most regions of medieval Europe. There is so much here to be explored and digested, and so much will be of interest to many and varied audiences; and it is certainly a volume to be recommended for immediate purchase for institutional libraries. This is a most welcome publication, which should be a permanent fixture on any syllabus teaching the History or the literature of the Middle Ages in Spain. With more than 40 pages of literature plus an appendix with links to Spanish Medieval archaeology websites, the book really works as a splendid companion. While the English-language publications dedicated to the history, art history and archaeology of early medieval Spain would happily fill several shelves of a bookcase, those on the later medieval period have until now, been somewhat lacking. This book by Valor and Guitierrez begins to reverse that trend and makes a very significant contribution to this field. The book whole-heartedly fulfils its aim to explain Spanish history and archaeology to a non-Spanish audience. Much of the research presented has only previously been published in Spanish and often in publications not widely available outside of Spain. Overall it summarizes some of the latest archaeological research and unpicks the complexities of the typologies which have hitherto been an important element of art historical and architectural Spanish scholarship. As a result, the book is of value to a readership ranging from the undergraduate approaching the subject for the first time to the more seasoned scholar who requires a summary of some of the latest archaeological research. We can only congratulate the authors for this brilliant synthesis.